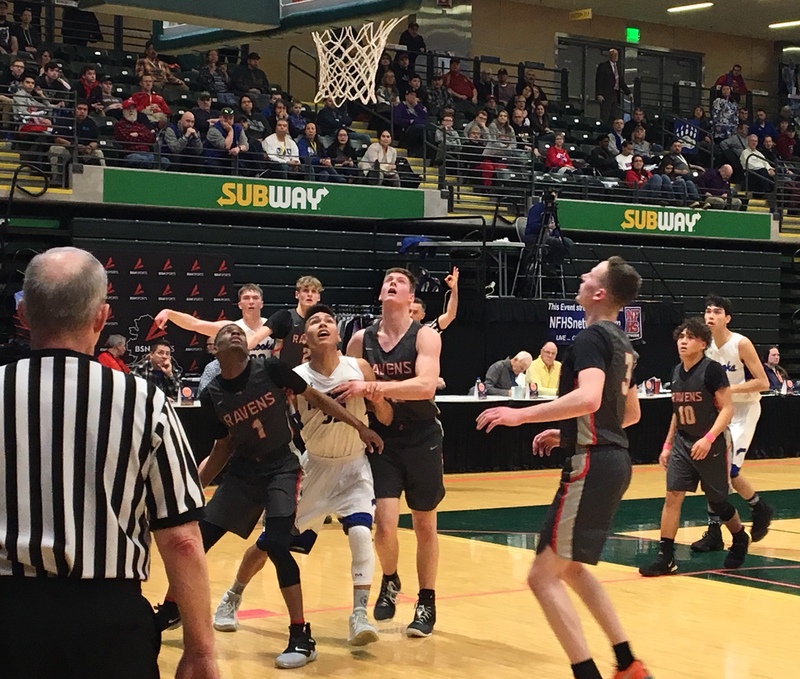 THE ASAA-FIRST NATIONAL BANK 3 AND 4-A STATE HIGH SCHOOL BASKETBALL TOURNAMENT KICKS OFF THURSDAY AT THE ALASKA AIRLINES CENTER WITH A FULL SLATE OF GAMES. FOR THE CLASS 3-A GIRLS, THE ACTION GETS UNDERWAY AT 11 THIS MORNING WITH ANCHORAGE CHRISTIAN SCHOOL PLAYING KOTZEBUE. AT 12:30 MT. EDGECUMBE TAKES ON KENAI CENTRAL, AT 6:30 GALENA PLAYS BARROW, AND AT 8:00 IT’S NIKISKI AGAINST VALDEZ. 3-A BOYS HAS ACS AND SITKA IN THE 8:00AM GAME, EIELSON AND NOME AT 9:30, MONROE CATHOLIC AND VALDEZ AT 3:30, AND AT 5 GRACE CHRISTAIN PLAYS BARROW. THE 4-A GIRLS SIDE OF THINGS GETS UNDERWAY AT 8:00AM WITH DIMOND PLAYING KETCHIKAN, WEST AND SOLDOTNA AT 9:30, CHUGIAK TAKING ON WEST VALLEY AT 3:30 AND BARTLETT MEETING WASILLA AT 5. 4-A BOYS HAS SOLDOTNA AND WEST AT 11AM, EAST AND KETCHIKAN AT 12:30, WEST VALLEY PLAYING COLONY AT 6:30 AND AT 8:00, ITS DIMOND AND PALMER. SEMINFINAL AND CONSOLATION GAMES ARE TOMORROW AT THE AAC, CONSOLATION FINALS AND CHAMPIONSHIP GAMES ARE SATURDAY AT THE WELLS FARGO SPORTS COMPLEX AND THE ALASKA AIRLINES CENTER.